To tell the truth, I am not a big fan of urban fantasy. The reason for this aversion towards is because I do not like when fantastical events take place in an urban, everyday setting. To me, it just feels as if something important is missing. I like reading about invented new worlds, whether based on science or pure imagination. World building is one of the aspects of fantasy and science fiction that made me such an avid reader and follower of the genre. On the other hand, I am not a big fan of “sub-genreing” either, if such a word exists at all. In my opinion, genre labeling is just a mean of advertising with profit as the ultimate goal. GRR Martin once said, “…a story is a story is a story, and the only thing worth writing about is the human heart in conflict with itself.” That is why I avoid being constricted by labels such as military fantasy, military sci-fi, paranormal romance and who knows what. I try to read good books, and if they happen to have dragons in them, all the better. So why do I even pay attention to these labels? Well, they are impossible to avoid and they can usually give you a starting point when you are writing a review. I am always on the lookout for something new and interesting, and I have no fear of trying new things. 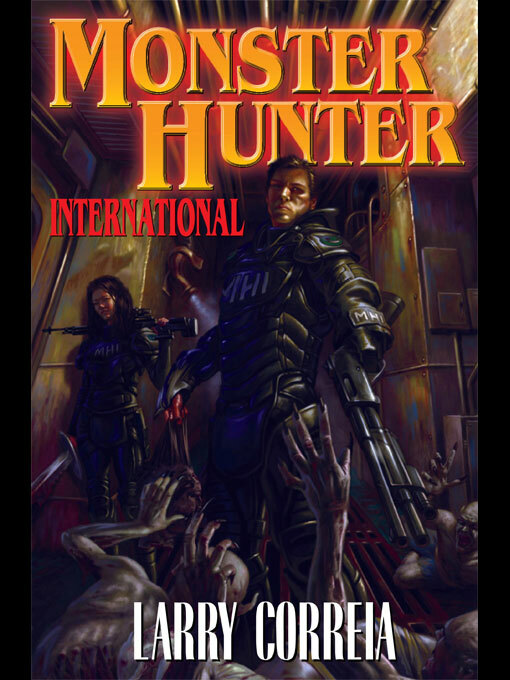 That is why when two of my friends decided to persuade me to read Larry Correia’s Monster Hunter International, I conceded without much resistance, so here is my review, and yes, it does contain spoilers. The protagonist of the book is Owen Zastava Pitt, an everyman who is one day attacked at work by his boss-turned-werewolf. He survives, having killed the werewolf, and is recruited by a private company that hunts and kills supernatural beings presenting a threat to mankind. He is quickly drawn into this parallel world where war is waged on vampires, werewolves, weights, demons, and almost every kind of monster that has ever been described in oral or written literature. Some of them are close to their usual stereotypes, while others are so different that they are unrecognizable. There are some exquisite homages to Tolkien and Lovecraft. The book reminded me a lot of Carpenter’s Vampires. There are plenty of well described action sequences, interesting characters and ideas, and a lot of humor, which make this book quite an entertaining read. However, there are some things that I did not like. For one, the main character starts like an everyman, an ordinary accountant, but it turns out that he is an expert gunman, big and strong, experienced hand-to-hand combatant, trained for the inevitable world’s end by his war-hero father, and psychic as well. By the end, he gets the girl of his dreams and saves the world. A bit far-fetched, in my opinion. Also, the fact that mother and father of one of the main characters are vampires, and one of the main characters is a werewolf, creates some contradiction. The former are discarded as monsters and are to be hunted, while the latter is accepted as an ally, and he is loved and protected. Actually, thinking more about it, those are minor issues and if you don’t mind them (and you shouldn’t) you will probable like the book. It is interesting to mention that, apparently Correia has put a lot of himself in the main character, which is evident from his biography posted at his site. That piece makes quite an interesting read in itself. The verdict: I liked Monster Hunter International. I liked it very much. It is fun, quick-paced and unpretentious. Still, I did not like it so much that I would definitely read its sequel(s). The jury is still out on that issue. When and if I am in the mood for some gun-loving monster hunters, I know where to look for them. If I were forced to grade the book, it would be somewhere above the middle: 3/5.